Working in front of the computer for hours everyday could have its toll on the eyes eventually. Most of the time, we are tempted to take the easiest solution, i.e. wear eyeglasses. But like most instant solutions, eyeglasses may further aggravate the whole situation and in some extreme occasions, the eyes may never recover. I have yet to know of a person who got healed by using a pair of glasses. But I know of a number of people who got their eyeglasses progressively thicken over the years. There is, however, a better solution which could still be instant depending on where you are on the part of the planet and the season of the year. Being near to the equator does have its advantages, i.e. you get more of the sun and what it brings. More than two years ago, I’ve started sungazing for three weeks straight and it did heal my eyesight to the extent that I could read even the smallest characters in a regular magazine. Before that, I could hardly open them without tears flowing down due to fatigue. 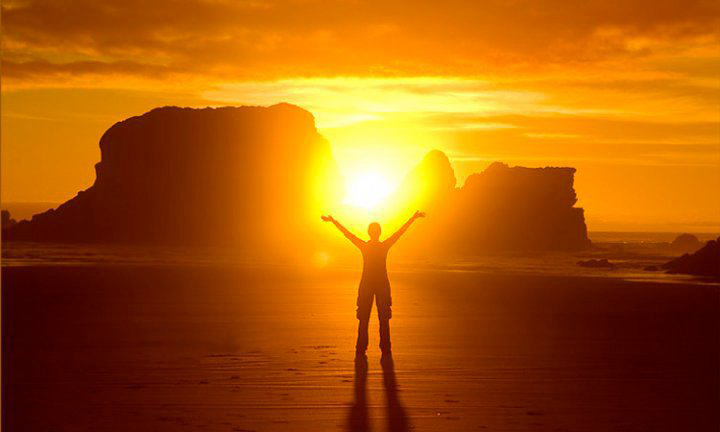 Sungazing was originally recommended by Dr. William Bates, hundred years ago. Of course, due to the nature of my work, the eyes do have to endure the abuse afterwards. But it’s good to know that I can rely on the sun to heal my eyesight anytime I need to. Now, it must be understood that even if you’re not losing your eyesight yet, you still have to try sungazing for one very notable benefit. You may not noticed it at first, but once you start doing the routine, you’ll keep on coming back for it. I won’t tell what exactly that is but you’ll soon discover. Just start gradually, say 10 seconds for the first morning, then 20 seconds for the next, and so on. 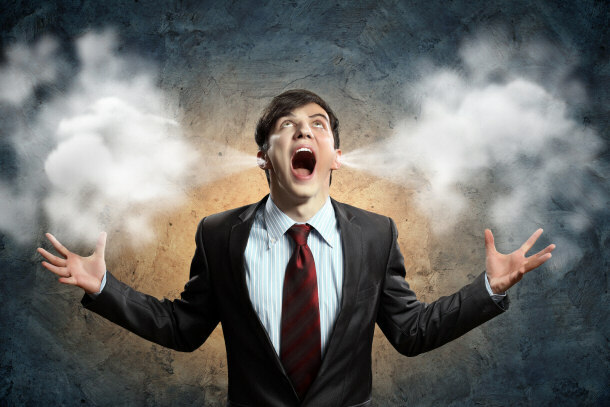 The basis is to recognize that all of the strain and stress in your eyes is not solely related to your eyes, but the stress that you are carrying around in your body, particularly in your face, which relates heavily to your brain as well. Beginning by realizing the stress in your face – and relaxing the muscles around your eyes is the first step of this, and understand that healing is a process which can take some time, especially if your external environment is a particularly stressful one. I always notice that my eyesight worsens when I am more busy and stressed out in my head. 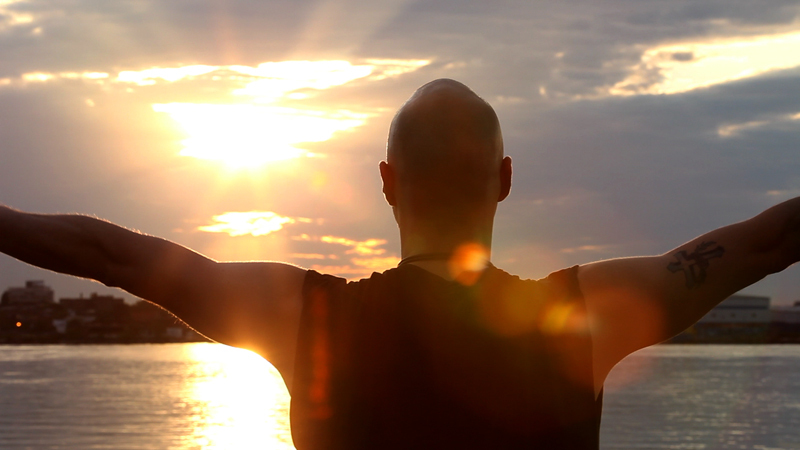 Close your eyes gently and look into the sun absorbing the light (also while relaxing the muscles). This can facilitate a calm, warming soothing feeling across your whole face and even the rest of your body, and can greatly help relax. This is good to do for a few seconds while the sun is rising and when it is setting because the suns rays are less powerful during those times, and will be less harmful to your eyes. This will also help remove a layer of mucous from the top of your eyeball. 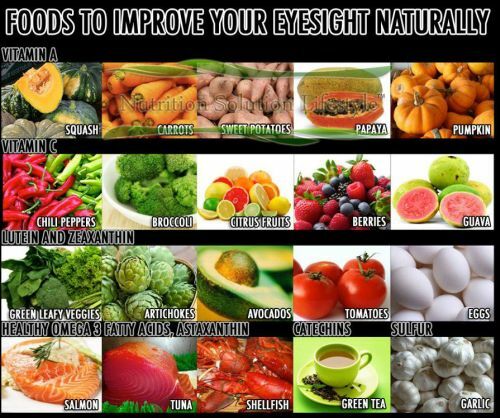 There is also food that is great for your eyes, such as Carrots, Eggs, and Almonds! (Just make sure it’s organic). Any fruits and vegetables will be good for your eyesight, especially ones containing vitamin E and zinc. So a few days ago I stumbled upon this video below and I got super excited about it! The results that i’ve had have been noticeable to me, but I had never been able to put it into words or describe it as i’m able to now.Upon watching the video, I found myself pleasantly surprised. This guy is a legitimate doctor, who has used a method from a “renegade optometrist” from about a hundred years ago who put together a solid formula for healing your eyes. For all of us with glasses, lets give these tips a practice and see how we do! Bates was right! Research Confirms Sunning is beneficial! Dr William Bates was a controversial turn of the century Ophthalmologist who believed that all eye disease was caused by stress and disease could be cured by relaxing the eyes. He taught 3 techniques: Palming, Sunning and Swinging. Palming is perhaps the most familiar of his teachings. This is where the palms are placed over closed eyelids and while taking slow deep breaths while visualizing the black. When black is visualized this helped the eyes to totally relax. Nothing until now was more controversial than his technique called sunning. Bates believed that the eyes benefited by sunlight and one could look directly at the sun (with closed eyelids) or at the brightest light without injury or discomfort. Bates cautioned that, just like one should not run a marathon with out training. one should not look directly at the sun with out training. Bates suggested exposing the white part or sclera to direct sunlight for a few seconds and he taught exposing the direct sun on closed eyelids . In his book, Perfect Sight Without Glasses, Bates described a treatment using a magnifying glass to focus sunlight on the closed lid of an eye. He advised patients to expose the closed eyes to direct sunlight for at least 3 minutes a day and on dark days Bates advised using an infrared light source for “sunning” indoors. Sunning was advised to help refractive problems like nearsightedness and farsightedness but also for glaucoma, cataracts and macular degeneration. I was taught during my training as an Ophthalmologist that looking at the sun was bad and it could burn the retina leading to blindness. We even studying several cases of retinal damage after sun gazing, including a case of a man who took several dosages of LSD and then proceeded to sun gaze for several hours. Recently there have been several articles published that Bates was right and sunlight can be beneficial to our eye health! This experiment mice one group of mice were raised in a normal light environment. 12 hours of light (3 Lux) and 12 hours of darkness. Mice in the experimental group were exposed to bright light (300 lux) light about 100 times brighter than normal room lighting. The mice were all exposed to retinal damaging light (1000 lux for 2 weeks) or plunged into air raised levels of oxygen. 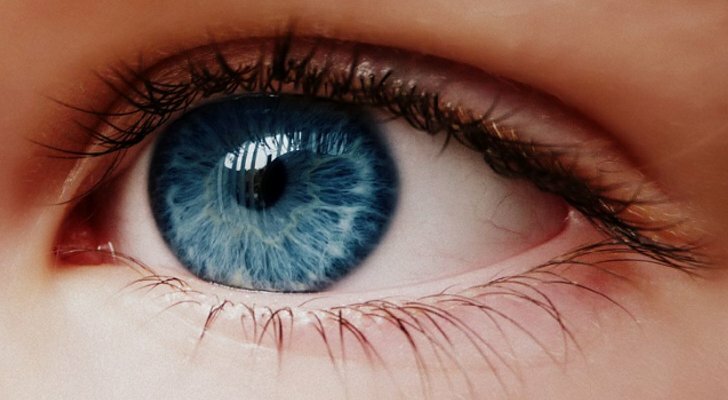 High levels of oxygen are toxic to the retina. Mice that were preconditioned to bright light did not have any retinal damage! There are 3 possible mechanisms that preconditioning with light protects the eye. It stimulates healthy growth key elements in the retina and increases antioxidant functioning. This preconditioning might have a beneficial effect in the treatment and prevention of progressive damage in macular degeneration and other eye diseases. Daily application of phototherapy (760 nm) in rodent subjects has shown to prevent retinal injury following high intensity laser burns, retinal toxicity due to methyl alcohol, and in cases of retinitis pigmentosa. Low energy levels of red and/ or infrared light activates cytochrome oxidase a photosenstive molecule in the mitochondria and this leads to an increase in retinal cellular activity, increase in antioxidant properties and general health and vitality. The authors feel that the result of this study should stimulate the FDA to approve these modalities for the treatment of macular degeneration and other eye diseases. Low Level Laser Therapy Improves Vision in Patients with Age- Related Macular Degeneration. Ivandic BT, et. al. Photomed Laser Surg 2008 Jun; 26(3): 241-5. 193 patients with all forms of macular degeneration were involved in this study. An infrared laser (780 nm) was used to irradiate a 3 mm spot on the conjunctiva near the macula of the eye. Each eye received a a total of four 40 second lights twice a week over 2 weeks. Visual acuity improved in more than 95% of the patients and bleeding was reduced in 86 eyes with wet macular degeneration. In addition metamorphopsia, impairment of color vision and scotomas decreased. Infrared light shined on the sclera significantly reduced the intra ocular pressure in the majority of patients. A 30 second treatment reduced IOP by 50% in some patients, others by less and some had no pressure lowering effects. Patients with existing glaucoma all had a greater pressure lowering reponse compared to thsoe who did not have glaucoma. According to the authors this test might help to distinguish which normal tension patients and patients with slightly elevated pressures might be at risk to develop glaucoma. Low intensity laser irradiation may be an important tool to treat ocular hypertension and glaucoma. Light therapy in the form of sunning that was advocated by Dr William Bates a hundred years ago just might be a key to the prevention and treatment of macular degeneration.